If you’re looking for a convenient way to run Linux on a phone and thus get the portability that everyone is hoping for without any loss in terms of usability, Samsung’s Linux on DeX project is worth a chance. 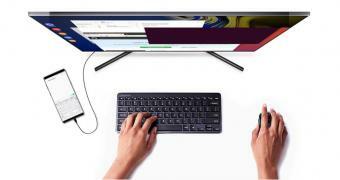 With this feature, Samsung basically enables Linux to run on its DeX platform, which allows a smartphone to double as a PC when connected to a bigger screen with a dedicated adapter. While the standard DeX version is available for all latest-generation Samsung phones, the Linux on DeX project advances slowly, so only a handful of models are supported for now. The most recent update, however, expands this list to several new Samsung smartphones, including here the full Galaxy S10 lineup. You can thus use the Galaxy S10e, the Galaxy S10, the Galaxy S10+, and even the Galaxy S10 5G to launch Linux on DeX after installing today’s update. Open Source gaming platform Lutris now enables you to use Epic Games Store on Linux. We tried it on Ubuntu 19.04 and here’s our experience with it. The Kubuntu 19.04 official Ubuntu flavor has been released as part of the Ubuntu 19.04 (Disco Dingo) operating system series with various updated components and improvements. 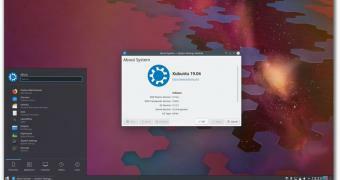 Featuring the same internal changes as Ubuntu 19.04 (Disco Dingo), the Kubuntu 19.04 operating system is here to offers users an updated KDE experience powered by the KDE Plasma 5.15.4 desktop environment and KDE Applications 18.12.3 software suite, built against the Qt 5.12.2 application framework. Of course, several of the pre-installed applications have received updated versions as part of the Kubuntu 19.04 release, including Mozilla Firefox 66.0 as default web browser and LibreOffice 6.2.2 as default office suite. The Latte Dock 0.8.8, KDevelop 5.3.2, and Krita 4.1.7 apps are also available. 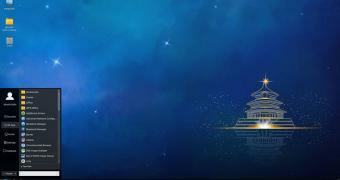 Chinese Ubuntu users will be happy learn that the Ubuntu Kylin 19.04 operating system has been released as part of the Ubuntu 19.04 (Disco Dingo) series, a release that adds various enhancements and updated components. Featuring the same internal improvements as the Ubuntu 19.04 (Disco Dingo) operating system, Ubuntu Kylin 19.04 shops with a fresh and all-new visual experience through a unified style that revamps the boot animation, login and lock screens, adds a transparency effect to the applications menu, notification area, and taskbar, as well as other smaller enhancements. 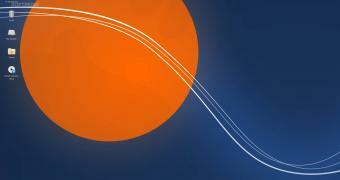 Xubuntu 19.04 arrived as part of the Ubuntu 19.04 (Disco Dingo) operating system series bringing some important changes to this lightweight official Ubuntu Linux flavor. Xubuntu 19.04 is here as the first release of the lightweight Ubuntu flavor based on the Xfce desktop environment to no longer offer 32-bit ISO images that would allow users to install the Linux-based operating system on computers from 15 or 20 years ago. Xubuntu 19.04 is now only supported on 64-bit systems. “In December, the team voted to discontinue 32-bit images for Xubuntu 19.04 and forward. If you want to continue using Xubuntu with 32-bit architectures, Xubuntu 18.04 is supported for 3 years, and the Xubuntu package set can be installed from the Minimal CD,” said the development team in the release notes. 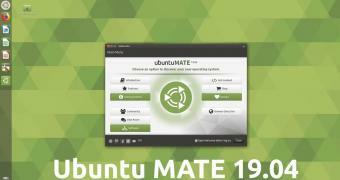 The Ubuntu MATE 19.04 operating system has been released as part of the Ubuntu 19.04 (Disco Dingo) operating system series, a release that adds latest software updates and some interesting new features. Powered by the stable and well-tested MATE 1.20.4 desktop environment with some improvements and new features from the MATE 1.22 release, which needs more testing to be eligible for inclusion in future Ubuntu MATE release, the Ubuntu MATE 19.04 (Disco Dingo) operating system adds major improvements for owners of AMD Radeon and Nvidia graphics cards. Strawberry is an open source music player for Linux and Windows. It’s a fork of Clementine, a popular music player on Linux once upon a time. Read more about it. You can’t escape a hard drive failure. However, you can survive it and move on from it. That is, if you know how to deal with it. The inevitability of hard drive failures is real. You’ll be facing one, two, three, or maybe more in your lifetime. Come out of a hard drive failure unscathed by averting data loss. Here are some helpful tips to survive a hard drive failure that usually leads to data loss. The first of which is to back up your data. The second tip is to make use of an automatic backup system. In the event that your shared or hard drive fails, you can always get back your files from your online backup service provider. When making backups, automation is key. Kelly Smith, a cardiac geneticist at the University of Queensland in Brisbane, Australia, has access to a shared network drive that is copied to tape. She used to move her files to the drive manually, but only monthly; in the event that the drive failed, newer files could be lost. An automated cloud-based backup system called Druva inSync, from data-protection firm Druva in Sunnyvale, California, now obviates that concern. “It’s one less thing I have to worry about,” she says. The third tip is to regularly check all your backups. If your data are backed up to the cloud, check if all your files are complete and updated. Reliable online backup services should be able to back up and update all your files automatically. As long as your computer is connected to the internet, the backup service should be able to do its work silently and efficiently. Still, you have to take some time to check your online backup account to see if all your files are backed up and updated. Debian 10 Buster is nearing its release. Excited about the new major release? Here’s a list of the new features in Debian 10.